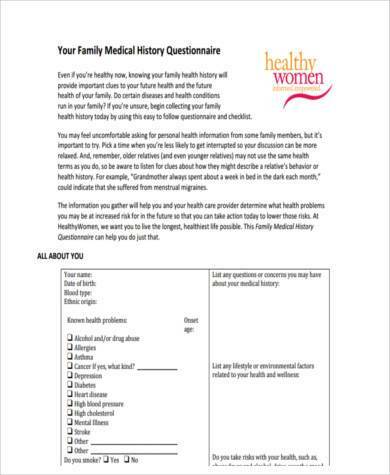 Do you or your family members have a history of any disease? Do you want to know what diseases you are at risk of? 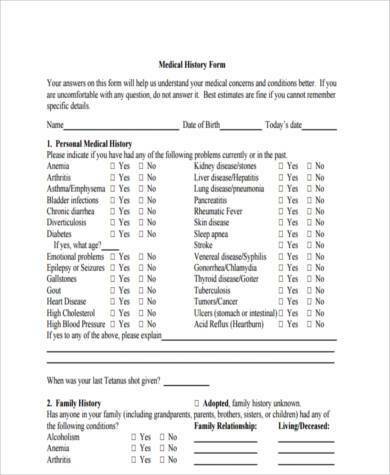 If yes, a Family Medical History Form is what you need. 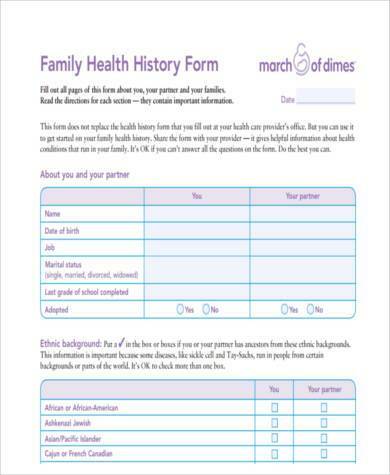 A person’s family medical history can be a good way to determine what diseases they are at risk of. Why? This is because families have a lot in common – genes, environment, and lifestyle. And because you have a lot in common with your family, it is likely that you might develop the same diseases that they have, if any. 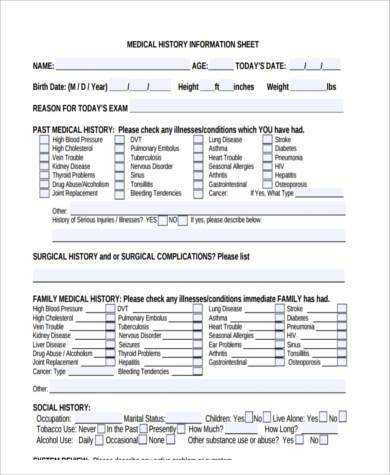 Medical Forms are extremely important, and Family Medical History Forms are not an exception. 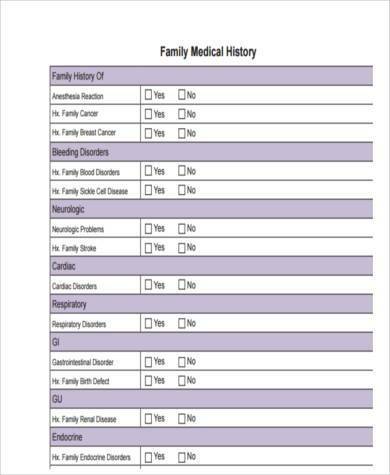 Family Medical History Forms can help identify which diseases a person is at risk of. In that way, certain preventive measures can be done. For example, if you know that hypertension runs in your family, you might want to make changes in your diet, like eating less salty and fatty foods, and also exercising more. A medical practitioner can help you make lifestyle changes for prevention of the disease. 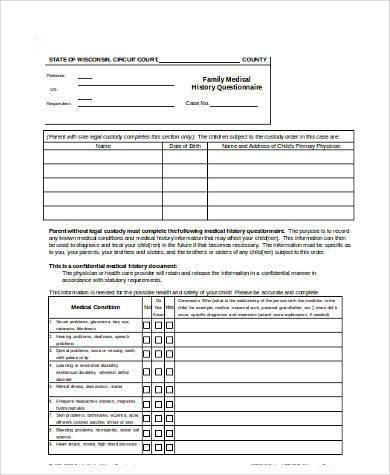 The availability of the records of family health can help practitioners in the medical field have an easier time to identify the condition of an individual. 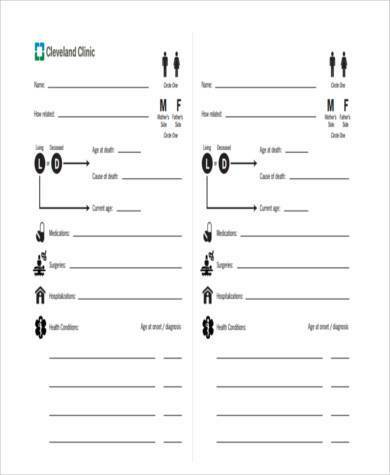 Health conditions of families can also provide lesser options for examinations and tests as there are different directions that can already be observed based on the past records given to the medical facility or practitioner. For example, if your family has a history of breast cancer, a doctor might recommend further tests like a mammogram to monitor your health. Knowing your family’s medical health history can also help you prepare yourself to get tested for possible genetic disorders. This way, your doctor can monitor your health and require specific diagnostic tests to make sure you are healthy. It must include your relatives up to the third generation. That includes your parents, siblings, aunts, uncles, cousins, and grandparents. It also should state the age of all your relatives. If they are deceased, include at what age they were when they passed away. It should also include your ethnicity because some genetic diseases are more common in certain ethnic groups. Most importantly, it should indicate any chronic diseases that any of your family members have had in the past or in the present. 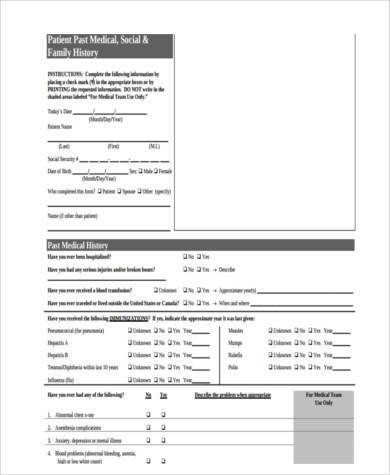 Although having a family member who has a certain disease doesn’t always mean that you will have the same disease, Family Health History Forms are a helpful diagnostic aid for medical practitioners. That being said, it also is not a guarantee that you are not at risk if your family doesn’t have a history of certain diseases. It is important to always take preventive measures to keep ourselves healthy and safe, even if the disease doesn’t run in the family. Live a healthy lifestyle and have yourself checked if you ever feel there is something wrong. No one knows your body better than you do.